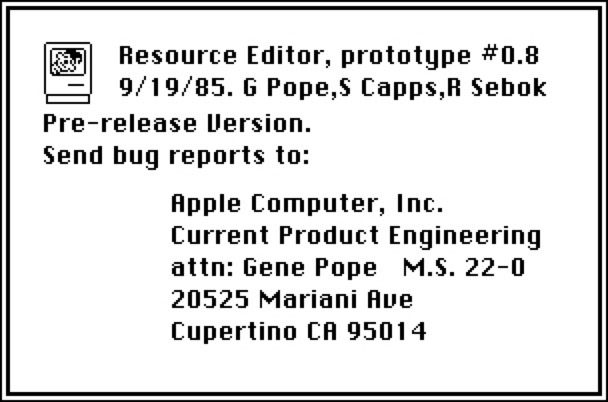 A few About boxes from vintage Mac applications « Adafruit Industries – Makers, hackers, artists, designers and engineers! A few About boxes from vintage Mac applications. I found some very old versions of popular applications and — equally interesting — there were also not-so-old versions of popular applications but in French and even German. I thought this exploration was worth capturing, so I took a few screenshots. Here’s a selection of the most interesting findings. Enjoy. Very cool collection of about boxes, Resedit was life changing.. also the entire page has some great NeXT links.